You just can’t see it. There’s something wrong with your boat, but you can’t put your finger on what it is. She runs great. She’s seaworthy and safe. And there’s nowhere you’d rather be than your perch at the helm. But at anchor or in a slip, it’s another story for you and your crew. Where the family feels refreshed and rejuvenated underway, you all seem to get tired and worn out the longer you stay on board. But don’t give up the ship! Some subtle fixes can make extended cruising more enjoyable. 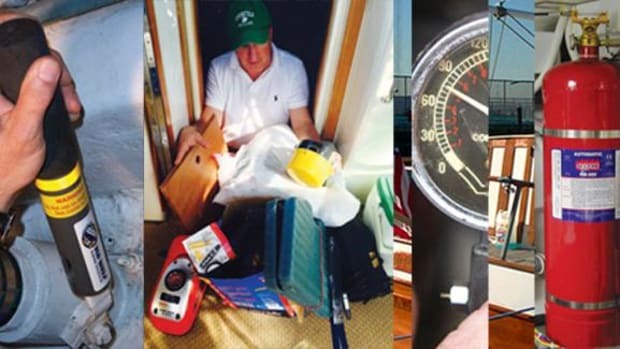 Here are six ways to improve the comfort level of your boat’s interior. Ever put on a sweater on a sunny, hot July day? That means you know the difference between air conditioning and ventilation. There’s a reason the system, and indeed an entire industry, is nicknamed HVAC, and if you skip the V for ventilation you may be missing the whole point. “Ventilation is the paramount part of that HVAC equation,” says Dave Gerr, naval architect and professor at Westlawn Institute of Marine Technology. “If you don’t have enough heat you’ll be freezing, but you can’t survive without ventilation. Same thing with air-conditioning—you’ll be miserable and hot without it, but you need proper ventilation to live.” Think of survival as a guide to the very basic parts of comfort: air, water, food, sleep. 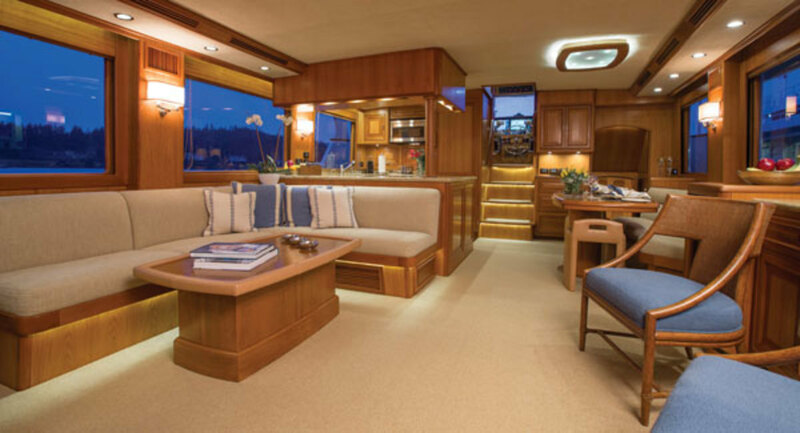 The interior space on this Fleming 58 brings all the comforts of home. Back to that cardigan you just buttoned up, you’ve got your air conditioning blasting because, well, it’s hot out. But you’re not always more comfortable because of the temperature, it’s often actually because the plenums are moving the air. Sometimes it makes more sense, particularly when there’s a breeze, to open some ports and hatches, and let the air move through the boat. If your boat is well designed it will do the job, and letting the interior air out is good practice. Some boats, of course, need a little help moving air through, particularly if you’re anchored out of the wind. In that instance a fan may be just the ticket. Caframo (www.caframo.com) manufactures fans for installation on boats and the company has a handy application guide that allows boaters to select just the fans they will need to push the air around the various spaces on their boats. 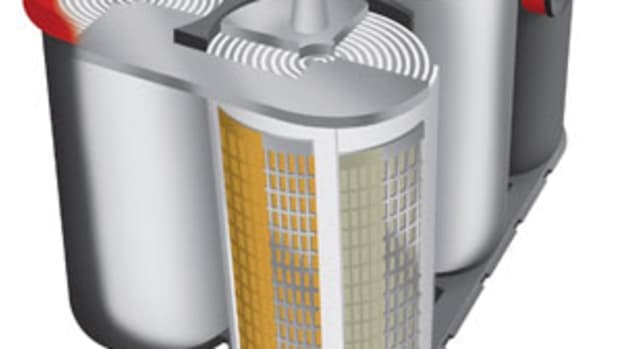 “We look at the CFM (or cubic feet per minute) which is the airflow that each fan provides,” says Stephanie Guran, marketing specialist for Caframo. “We also offer fans with additional features: There’s a model called the Kona that’s weatherproof, to be located where it could be splashed or sprayed. And we offer the Sirocco, which has a 360-degree gimbaled design to be positioned in any direction. We also have a fan that can be installed right on the hatch and exhaust air out of the cabin or bring fresh air in. Even with the hatch closed, it can offer a cooling breeze inside the cabin.” Caframo fan hardware starts as low as $29.99. 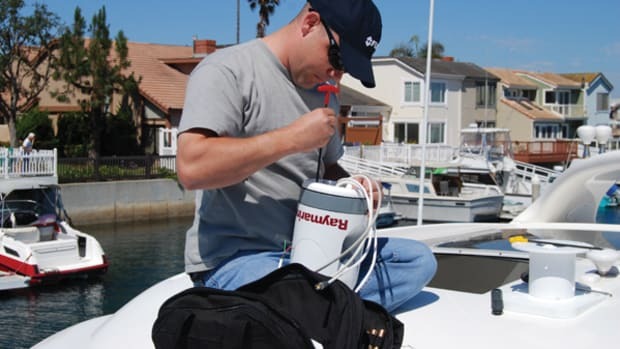 Keeping the air moving when you’re not on your boat lets you start from a better place each time you step aboard. 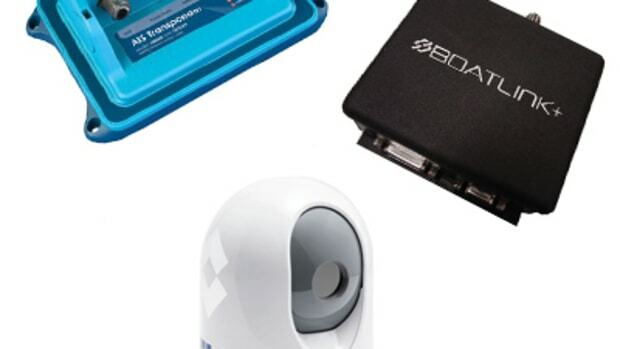 The portable Breathe Easy air purifier from Dometic ($109.99; www.dometic.com) will filter odor-causing bacteria (and other nasty stuff) from the air in enclosed spaces, while a West Marine air dryer ($94.99;www.westmarine.com) warms and circulates the air to keep that damp funk in check. Another way to make your boat’s interior more comfortable is to block out some of the sunlight that warms it up. Applying window film is nothing new, but today’s technology more effectively blocks bright light and harmful UV rays, both of which contribute to the breakdown of interior fabrics, wood surfaces, and more. 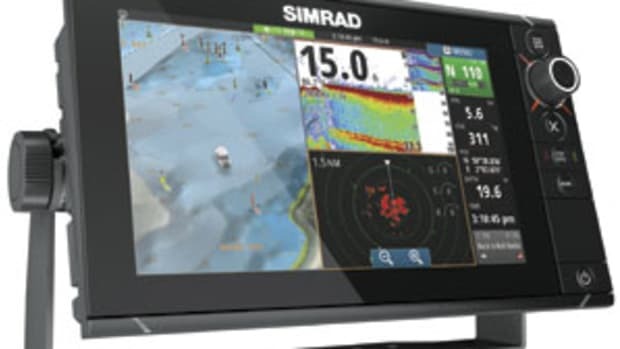 If you’re considering adding film to your boat’s windows, be aware that the marine application can be tricky—interior trim, valances, and headliners can block installer access to the edges of the windows, very few windows are square in shape, and other factors can affect installation costs, which are generally in the $15 to $25 per square foot range. Toning down the light that streams into the saloon through the windows is one thing, but you also may enjoy having more hands-on control of onboard lighting after the sun goes down. There’s never been a better time for this with the advent of LEDs suitable for refit. “The simplest thing would be to add dimmers,” says Kinder Woodcock, project manager for IMTRA. 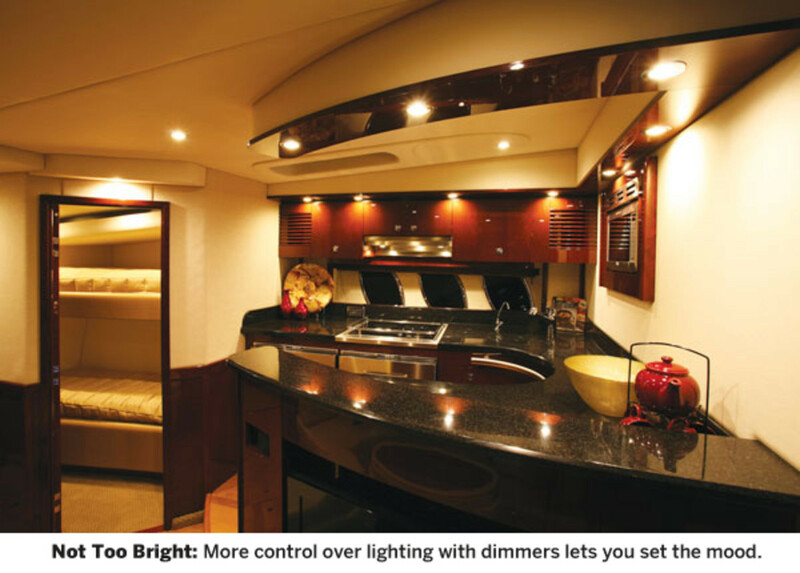 “Unlike the early days of LEDs for illumination, most LED lights available today can be controlled by dimmers, and that adds a whole new dimension.” This makes sense for boaters, since evening cocktails onboard may require a softer light than, say, a nighttime session hunched over the charts spread out on the dinette, looking closely at soundings and bridge heights to plot out the next cruising leg. 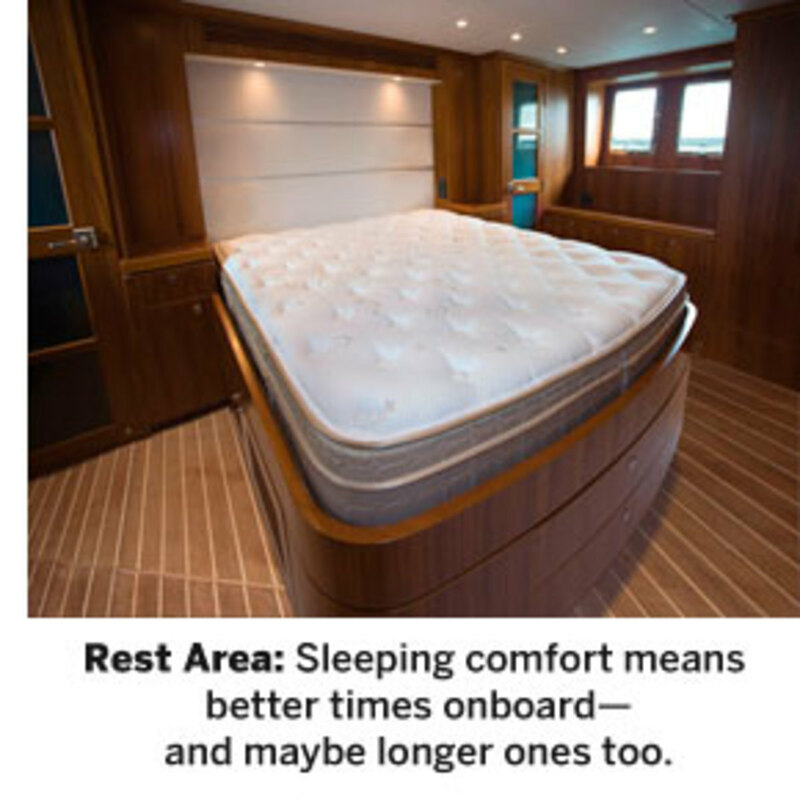 There’s no better way to help make the most of your time aboard than to get a good night’s sleep. When you’re rested, your mood improves and you’re ready to take on the day’s challenges. Many people sleep well on boats, thanks to the gentle rocking of the hull, and the fresh air enjoyed all day. But the converse of that is a bad night of sleep. Sometimes quarters are a bit closer than what you have at home. Tossing and turning, unable to get comfortable, you take longer to get your rest, and invariably, finally drift off to sleep just as others wake up and want to start their day. Of course, onboard accommodations may limit the size and thickness of a new mattress, and the weight of some mattress types may make stowage areas inaccessible. But there are solutions: “We do a hinge fold so the bed can be folded into two but the top is covered as one,” Ogle says. “So it folds over, but when it lays flat you can’t feel it. This way you can fit a heavier bed, but the wife can still get access to stowage on her own. There are a lot of little details like that.” Custom mattresses from HMC range from $800 to $4,000. You may have been on boats where the furniture is designed to fit a certain space or meet some requirement other than user relaxation and enjoyment. The comfort of onboard furniture starts with the cloth used to cover seating surfaces, armrests, and pillows. And speaking of terror, we should mention that comfort and onboard safety go hand in hand. When it comes down to a boat’s interior, the possibility of a serious injury can make things dicey for the crew when seas kick up. “There should be no sharp outside corners,” Gerr says. 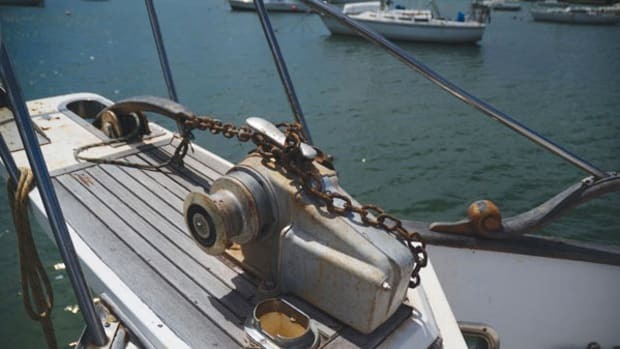 “If you’re on a boat that’s rolling and fall into something, those sharp edges and square corners can cause serious injury. There are many boats built like that today: Beautiful, modern-looking furniture and every one of them with sharp corner edges.” If you’re considering new furniture, take the opportunity to get rid of those sharp corners. 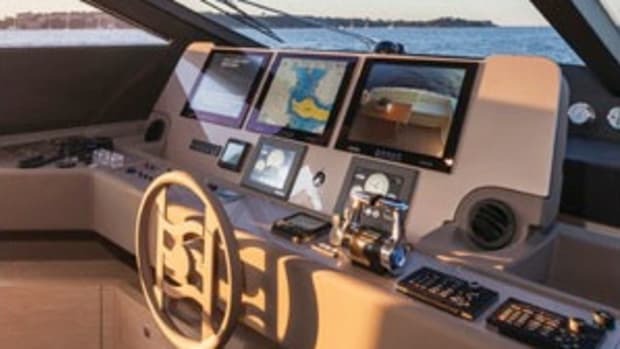 While on the subject of safety, there’s one additional interior factor: Boats designed to show off their size sometimes have large open spaces in a saloon. It may look nice and feel like home, but put that boat in a sporty seaway and you’ll find it means something else: There’s nothing to grab onto should you lose your balance. “On larger yachts people want their open space, but I do often try to design it so that there’s no area that’s really wider in terms of built-in furniture than 36 to 48 inches,” Gerr says. “So you feel like you’re going into this big space but there are things at least 30 to 36 inches high there that you can catch yourself on if you start to slip and fall.” That’s better than falling across a wide-open saloon to fetch up on the sharp corner of a table. Take these factors into account when you consider refitting your interior and everyone onboard will feel safe and comfortable. And there will be nowhere else they’d rather be. 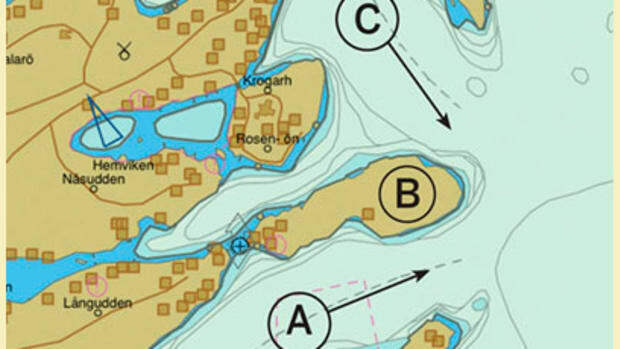 This post originally appeared in Power & Motoryacht and can be found here.